For the most part, the weather has been kind to us over the last couple of weeks, with some glorious summer weather over the Bank Holiday weekend mixed in with some cooler more typical springlike weather the following week. This summoned the annual opening of the famous Limekilns gallop and it was a joy to be able to work the horses on the pristine turf. We were also able to take the majority of our two year olds to the Limekilns grass canter as part of their preparation for stepping up to fast work. 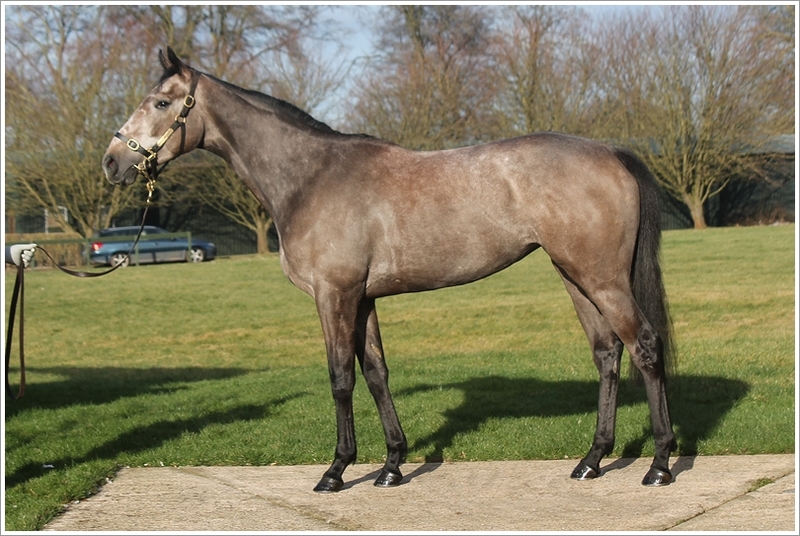 Valyrian started his season in a mile novice at Windsor on the 30th April. Quick out of the gates – he found himself out in front for most of the way before succumbing to pacier individuals. He will be better for a step up in trip and there will be more options open to him once he has a handicap mark. Alwaysandforever found herself in the hotter of the two divisions of the mile and quarter novice at Wetherby on the 5th May. Sitting handy off a steady pace, she, the eventual winner and second pulled right away from the rest of the field. She now has a handicap mark of 87 so we shall look for a suitable race in the near future. Buxted Dream ran a much better race at Windsor over six furlongs on the 7th May. Drawn in stall 1 he was able to get a clean break and sit handy on the inside rail to finish a close fifth only beaten a length and a quarter. He is in at Doncaster this Saturday and hopefully, in a similar vein to last season, he will pick up a race or two during the course of the season. Saving Grace got us off the mark for the season in a mile and a quarter fillies maiden at Lingfield on 11th May. Jamie Spencer was on board and was able to get to the front from a middle draw and dictate the running. She still looked green at certain stages during the race, however, she dug in deep when challenged over the last two furlongs to get back up on the line by a head. She is certain to come on for the experience and will also be suited by a step up to a mile and a half. Recollect also ran on the same Lingfield card and had the unfortunate draw of stall 1 on the wide outside. Jamie Spencer was quick to get him out of the gates and across but, unfortunately, this lit him up through the early stages leaving him with nothing left in the tank at the end. Floria Tosca was another of ours drawn wide (15 of 17) at Nottingham also on the 11th May. She jumped very well but unfortunately got stuck out wide the whole way which ended any real chance of being put in to the race. She made steady progress through the field down the home straight and will come on for the experience. Wilson ran at Ascot on the same day and I think it is fair to say that he is too high in the handicap ratings for his Brighton win last year. He will need to come down a few pounds in order for him to be competitive again this year. God Given ran a pleasing race at Ascot the following day in the Carey Group Buckhound Listed Stakes over a mile and a half. Essentially this was a prep race for her first real target of the year, Group 3 Pinnacle Stakes at Haydock, however, we were half hoping that she might have been able to get out on an easy lead and make all the running. Unfortunately this was not to be as she blew up inside the final furlong but stayed on well to finish fourth against a male dominated field.